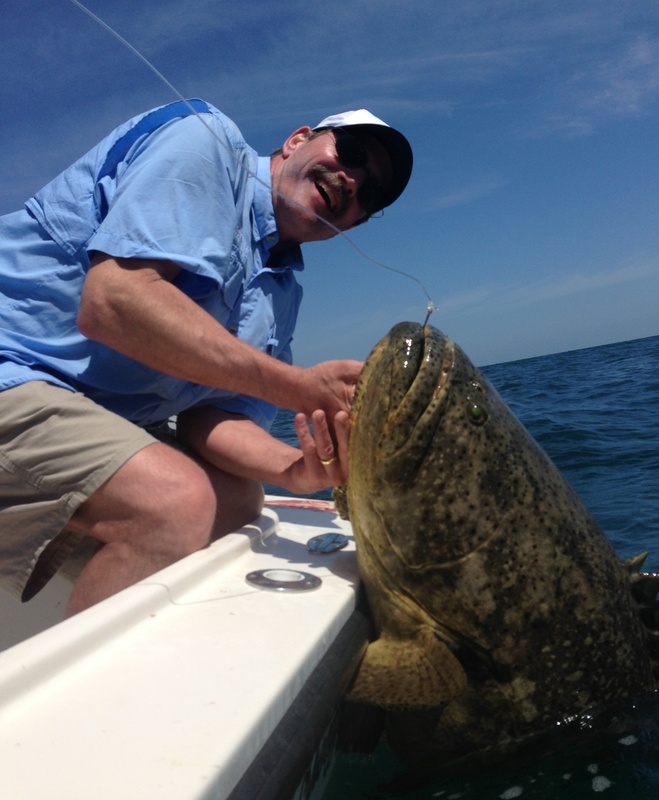 Goliath Grouper is among some of the most exciting action Tampa Fishing Charters have to offer. They are without a doubt one of the strongest fish that swim anywhere in the ocean. They make great targets for our captains, and clients love the excitement and anticipation of battling a true sea monster. Goliath Grouper fishing has gained in popularity over the past 15 years especially as population numbers have exploded, and the average size just seems to get larger and larger each year. They make easy targets and are almost a sure thing for the experienced Tampa Bay fishing captain that targets them. Well, easy might be the right word for the hooking part. Then it’s up to the strength, stamina and sheer will power of the angler managing the rods. 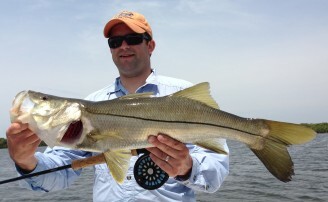 Although an experienced Tampa fishing guide maneuvering the boat correctly can make the fisherman’s job much easier. The Goliath Grouper also known as the Jewfish Grouper grows to legendary proportions. 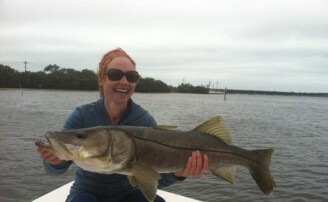 The average size for an angler might do battle with during a Tampa bay fishing charter is 100 to 400 pounds. That’s average size, larger Goliath Grouper in the 500 pound class and yes, even 600 pounds are out there and have been caught on rod and reel. The largest Goliath Grouper can supposedly ????? grow in the 800 pound class maybe larger. Can you imagine trying to pull one of these beasts off his sunken wreck or the reef he calls home? It wouldn’t be easy and might be the reason they are said to grow so large, though we have no circumstantial ???? evidence. Unlike a lot of the other larger species that roam our oceans the Jewfish is a true bottom dweller actually living inside of reef caves, sunken boats or any kind of hole they can hide inside. This makes it more difficult for an angler to land the larger specimens without getting a snapped line. 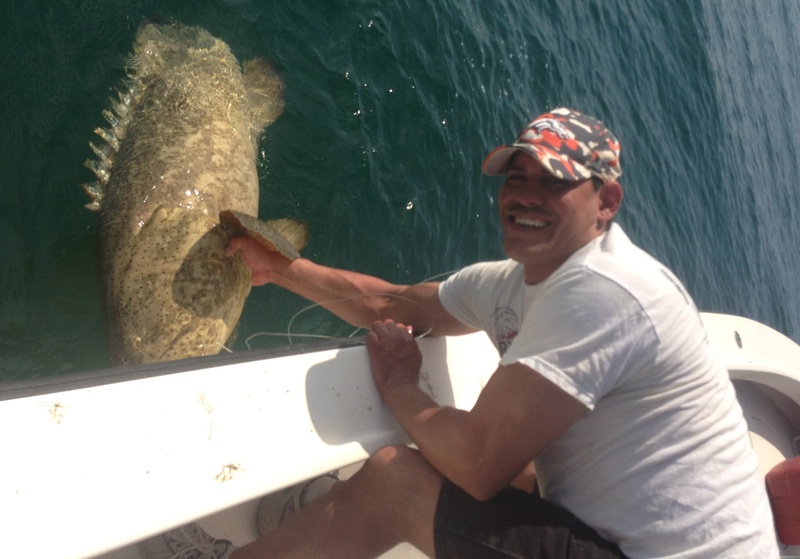 The world record Goliath Grouper is 680 pounds, and it was caught in Florida. It was caught many years ago in 1961 when the species was severely over fished commercially, and the season was finally closed to harvest in 1990. Since then the Grouper Jewfish population has exploded. The species grows every year in numbers and size. Certainly there are many more and probably much larger ones out there now than there were in the 1960s. It is only due to the closed harvest that the Goliath Grouper world record has not been officially broken. More than likely if the harvest was reopened, it wouldn’t be long before the world record would increase in pounds. How to catch Goliath Grouper is the question we get all the time as charter captains. Well, first its starts off with catching large enough bait. 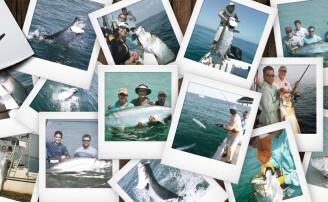 Tampa fishing guides all have their preferred king of bait, which range from whole Mackerel, Jacks, Kingfish, and False Albacore and yes, even sting rays. Pretty much anything over 7 to 8 pounds will do. A 12 to 15 pound False Albacore Works really well. Now, how does an angler catch a large Jewfish? Boat positioning is absolutely critical. Not only does the charter captain have to position the boat close enough to get the bite, but he has to be positioned just off the wreck with enough room to be able to pull the monster quickly from the tangles. A stout rod with 200 pound test and 400 pound leader or braided wire is a must for consistent landing. Though big ones can be caught on much lighter gear and might evolve into long drawn out battles. A stout 15/0 plus size hook for strength is a must for the largest ones. The bait is then lowered down to the Giant Grouper, and much of the time it doesn’t even make it to the bottom before it’s eaten. The hook is instantly set because a Goliath Grouper swallows his prey whole. Some charter captains set the hook with the motor of the boat; it helps with the setting and helps get the Jewfish off the reef initially. The battle can last from ten minutes to an hour all depending on the size fish and the man or woman pulling. Goliath Grouper fishing is so exciting there are few angling experiences that can mimic the anticipation of the bite and the glow of the massive beast down deep as he is battled to the boat. The feeling of getting to see and touch one of these huge fish up close is extremely exhilarating; along with the release knowing you both gave it your all and now it is time to part ways and both go home.